If you are interested in adventure, you must get to know the 2018 Toyota 4Runner. 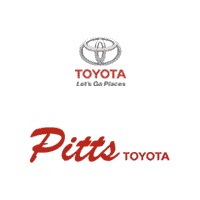 This review will update you on your 4Runner choices at Pitts Toyota dealer serving Dublin, GA. Whichever 4Runner is your style, you’ll find help for trail adventures. With two-wheel drive, an automatic limited slip differential keeps this big SUV out of trouble. A little sand or dirt won’t hold it back. Shoppers can step up to part-time four-wheel drive. Crawl Control regulates slow-speed moves on tough terrain. The multi-terrain system assists with mud, sand, or other tough conditions. It has an exclusive mogul setting to deal with ditches and uneven terrain. The top trim Limited offers a locking center differential and full-time multi-mode four-wheel drivetrain. SR5 and SR Premium editions wear six-spoke 17-inch alloys while TRD models wear seven-spoke alloys. There’s also a TRD matte black alloy for the TRD Pro. TRD Off-Road and Off-Road Premium editions wear silver-painted bumper accents on their color-keyed bumpers. A hood scoop and colored-keyed overfenders also set these apart. Limited editions have 20-inch alloys and a chrome-plated grille insert to differentiate them from other 4Runners. Find financing offers. The 4Runner comes packed with things you’d expect from Toyota, such as the Entune touchscreen system. There are two important options you may not find on rivals. You can get a third row with total seating for seven. A slide-out cargo deck is a helpful addition for picnics and tailgating. Find your 2018 Toyota 4Runner at Pitts Toyota dealer serving Dublin, GA. With many trim levels, the 4Runner is sure to have the right fit for you.